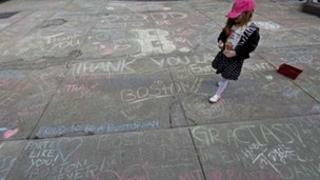 Social news site Reddit has issued a public apology for its coverage of the Boston bombings. Its Find Boston Bombers thread - known as a subreddit - wrongly named several people as suspects. The misidentified included 17-year-old Salah Barhoun and missing 22-year-old Sunil Tripathi. Reddit has admitted that it helped to fuel "online witch hunts". The debacle has fuelled debate about how far such speculation should go in future. "We all need to look at what happened and make sure that in the future we do everything we can to help and not hinder crisis situations," the apology read. "Though started with noble intentions, some of the activity on Reddit fuelled online witch hunts and dangerous speculation which spiralled into very negative consequences for innocent parties." It went on to apologise to the family of Mr Tripathi. The family had to suspend the Facebook page they had created to find him because of the amount of negative comments they received. Mr Tripathi's name trended on Twitter and numerous news sites. "We were very worried about Sunil and about each other because of how fast completely unsubstantiated claims were spreading," his sister Sangeeta Tripathi told the BBC World Service. "Our entire neighbourhood and our house were surrounded by media trucks. On my personal cellphone I got 72 phone calls between 3am and 4.30 in the morning. "We just really hope that something like what happened to our family - and it's happened to a few other people in the same media frenzy around Boston - doesn't keep happening and that we are conscious of how powerful some of our platforms are." The tragedy in Boston created a huge amount of traffic on Reddit, peaking at about 272,000 users, according to Google Analytics. As well as attempting to solve the mystery of who the suspects were, Redditors - as contributors to the site are known - also organised housing for people stranded in Boston, sent pizza deliveries to police and hospitals, and organised "dog therapy" in local parks for traumatised residents. The apology concludes: "After this week, which showed the best and worst of Reddit's potential, we hope that Boston will also be where Reddit learns to be sensitive of its own power."